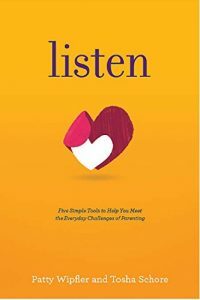 LISTEN… offers a new and practical understanding of children’s emotions and upset moments, sharing effective tools for easing the stress of parenting during the most challenging times with your children. We want parents to know that they have the power to help their children with a few small changes in how they interact with them. And that their children are far smarter than any one of us would ordinarily guess! Even when their child is in the middle of a tantrum, he’s doing the smartest thing possible. And I hope that connecting with one another, they can enhance their own ability to parent with generosity and wisdom. This Workshop will be FUN and ENCOURAGING as well as a great place to connect with like-minded parents – or go with a friend! Fall Session: Sept 19 – Nov 14, 2017. Group meets weekly – day & time TBD.